Survivor Benefit Plan – What Does it Mean to Me? The Survivor Benefit Plan (SBP) is a fundamental part of post-military retirement planning, and there is a lot of information out there to educate people about it. Unfortunately, since it’s a congressionally-mandated program, this information isn’t readily available in a way that’s easy to understand. Also, during Transition Assistance Program (TAP) class, there isn’t a whole lot of time spent on helping people understand the Survivor Benefit Plan. DFAS administers SBP program for DoD, but each service is tasked to inform and educate their eligible servicemembers. As a result, it can be confusing to figure out where to go for guidance. This post serves to give a basic primer on what SBP is. Instead of trying to hash out all of the ins and outs of the SBP in an article, I’ve compiled the information from the DFAS website into a single document. This file is my attempt to consolidate all of the information from DFAS’ website into a single document that is easier to navigate. If you want to circumvent this, all of the information in the document is available on DFAS’ website, http://www.dfas.mil/retiredmilitary/provide/sbp.html. 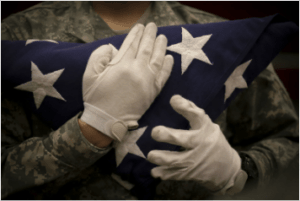 When a military retiree passes away, their pension automatically stops. Without a plan to replace this lost income, the family’s quality of life could definitely be at risk. In 1972, Congress established the Survivor Benefit Plan (SBP) and its reserve counterpart under Title 10, specifically to help military retirees and their families protect themselves from the risk of financial loss. SBP and its reserve component counterpart, RC-SBP, are annuity plans designed to replace a military pension once a military retiree passes. Under SBP, you pay a certain percentage of your retired pay (currently capped at 6.5%) in exchange for the right for your dependents to receive 55 percent of your retirement pay. For example, if you have $1,000 per month in retired pay, you’d pay $65 per month for SBP. When you die, your spouse would receive $550 per month. After 360 months and you reach the age of 70, you are considered ‘paid up’ and there is no additional cost to you. You can budget for it. It's not great when you find out how much of your retirement pay gets pulled into taxes, TRICARE, SBP, etc. Budget for it, make your other income sources work, and move on. In today’s day & age, most people are retiring with enough time to make a full second career and not miss too many meals because they’re paying into SBP. You can plan for it. If you die, you know what your spouse is entitled to. Knowing this helps you plan your other income requirements accordingly. You don’t know everything else that’s available. If you’re under 50, odds are that the retirement landscape will be vastly different than the one that exists today. If you’re a male (in 2013, approximately 85% of the active duty workforce was male), odds are your spouse will outlive you. With everyone living much longer today, odds are that your surviving spouse will get much more benefit out of SBP than you pay into it while you’re alive. Your family history doesn’t favor a long life span. We can't predict when we will die. But you might want to consider the SBP if your personal or family history includes certain medical conditions, a history of early mortality, or other issues that may prevent you from living a long life. Are There Alternatives to the SBP? The SBP is a continuation of military retirement pay. In a way, it is similar to buying an inflation adjusted annuity. There are times when an annuity makes sense. But some people may find they don’t need an annuity. This could happen when you are already financially independent, or when you have a sufficient life insurance policy in place. You should always run the numbers before assuming you don't need the Survivor Benefit Plan. One way to do that is to compare the SBP to a term life insurance policy. Depending on your age and health, term life may be a better option. But if your current health, family history, or age make life insurance too expensive, you may be better off buying into the SBP. Here is a specific case study from a reader question on this topic. In this case, it made sense to get SBP. Additionally, there is also a lot of service-specific information you should know regarding education & enrollment. To start, below are the links to the DOD and service-specific instructions, which should provide you information to answer your particular questions. If you can’t figure it out on your own, contact DFAS or your parent service’s SBP program office. If you’ve tried that and can’t get the answer you’re looking for, contact a fee-only financial planner in your area who works with transitioning military personnel.